surveillance systems. What happens when someone asks for access to recordings? It depends. Here’s a new story about what might happen. 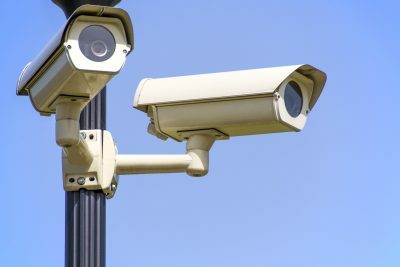 In the Information and Privacy Commissioner of Ontario’s recent decision 78, an individual asked a hospital for access to video footage taken of him outside the hospital’s emergency department including an interaction he had with police. The hospital conducted a review of all its video footage and provided the man with access to a video. The man believed there should be more footage and that the hospital had edited the video to which he had been given access. He thought the interaction with police should have been caught on the hospital’s video surveillance. He complained to the IPC. As part of the mediation, the hospital confirmed there were six video recordings (to one of which they had given the complaint access). They gave him access to the additional five videos even though none of them showed the interaction the complainant wanted to see. The man thought there should still be more video recordings. The hospital explained the limits to the scope of their video surveillance cameras. The IPC concluded the hospital had done enough and dismissed the review. The IPC concluded the hospital had performed a reasonable search for responsive records and had complied with the health privacy law, the Personal Health Information Protection Act, 2004 (PHIPA). The hospital was able to explain how they had searched for records and how their video surveillance system was set up. The hospital was also able to prove it installed new cameras after the incident that might have captured the location of the interaction – but that those cameras were not installed at the time. The hospital did not have to undertake any additional action. Bottom Line: If your health team has video surveillance cameras on your property, be prepared that individuals may ask to see the footage. You should be aware that they may have rights under PHIPA or other privacy legislation such as the Freedom of Information and Protection of Privacy Act (FIPPA) or Municipal FIPPA or the Personal Information Protection Electronic Documents Act, depending on your type of team. You should be ready to explain the cameras you have and what they capture. You should have a policy about retention, safeguards and rights of access and who responds to requests for access.